I received a parcel of goodies yesterday from Brigade Models of the UK. 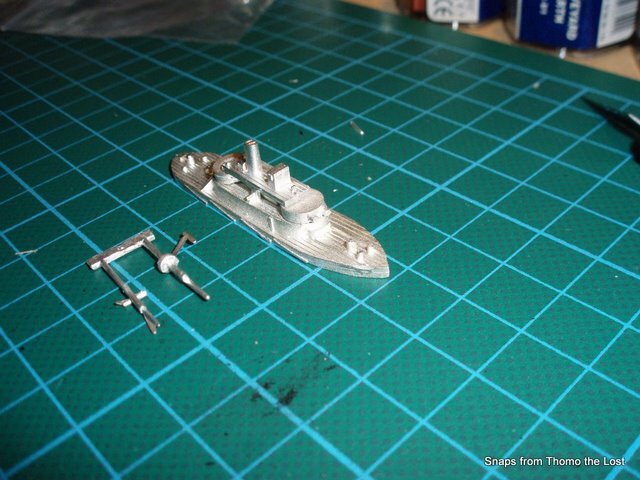 One of the items I had ordered was their model of the HMVS Cerberus. This model is in 1/1200th scale and represents the vessel lying in Port Phillip Bay in Victoria, currently acting as a breakwater. A truly lovely model this. Photos of the various parts can be seen by clicking on the album link below. I will post a picture of her when she is painted up finally. In the meantime, if you are interested in getting your own Cerberus, head off to Brigade Models and have a look. Details of the real Cerberus can be found at the HMVS Cerberus Home Page, dedicated to preserving the vessel.